Thank you VFW Post 10141 for your support! 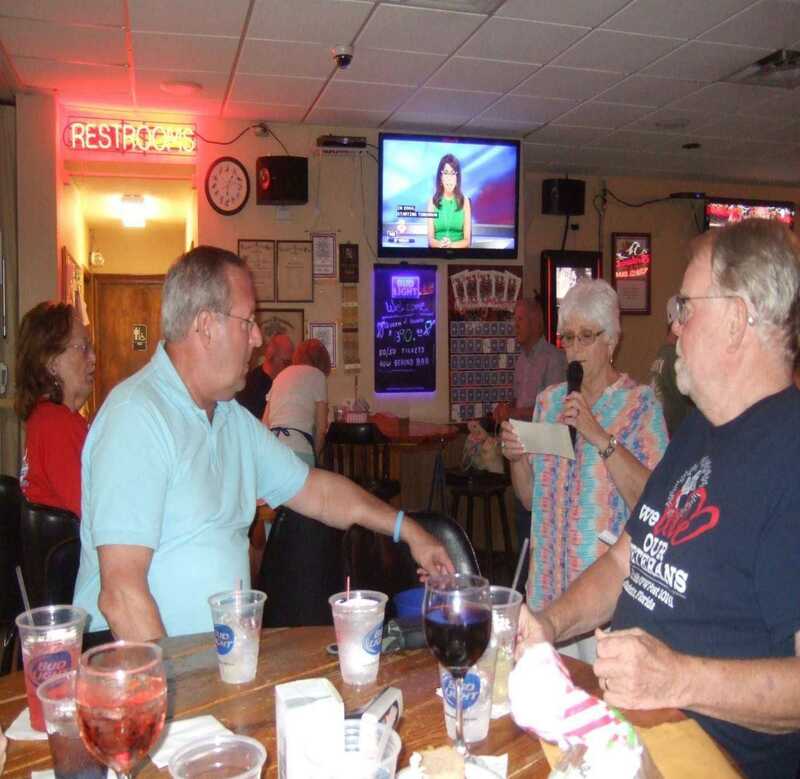 VFW POST #10141 AUXILIARY hosted a fundraiser, raffling a pair of VIP Baseball Tickets for the June 6th game between the Tampa Bay Rays vs. Chicago Whitesox. Auxiliary President Kathy McLaughlin Zuckerman announces the winner of the pair of tickets and “Team Alex” Volunteer, Ron Gillaspy draws the winning ticket for the 2nd, 3rd and 4th place prizes for restaurant gift certificates. The Raffle raised approximately $850 for COTA for Team Alex Sims!